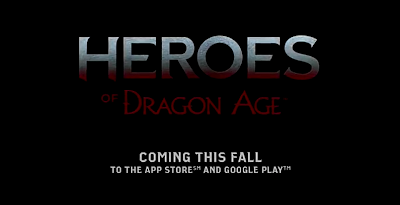 EA announces the upcoming availability (coming this fall) of Heroes of Dragon Age game for Android and iOS devices. 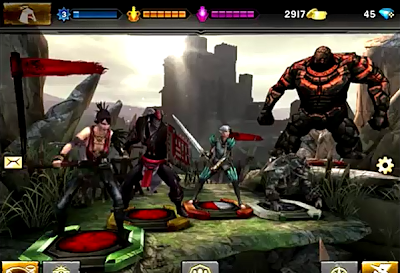 This standalone, cross-platform mobile game is being developed by EA Capital Games, in partnership with BioWare, a mobile-focused studio based in Sacramento, CA. 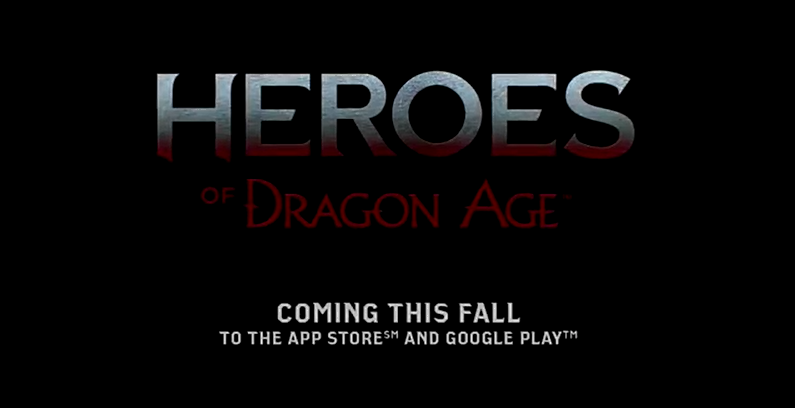 It's a Free-To-Download Squad-Based Combat game to bring The Legend of Dragon Age To Mobile. ﻿Heroes of Dragon Age is a squad-based combat game with addictive hero collection and engaging quests from the award-winning Dragon Age franchise. Heroes of Dragon Age lets fans build a party of famous heroes and feared monsters from packs featuring an array of unique 3D figures spanning Dragon Age lore. Players can battle each other in fast-paced, character-based combat and see their hero-leveling and squad-formation strategies pay off as they earn rewards and climb the leaderboard.